What Song Do You Think Of When You See…? Resonance is a color + music public art project conceived of by artist Lynne Harlow. It explores the intersection of color and sound with an emphasis on our personal, deeply subjective associations with songs and colors. 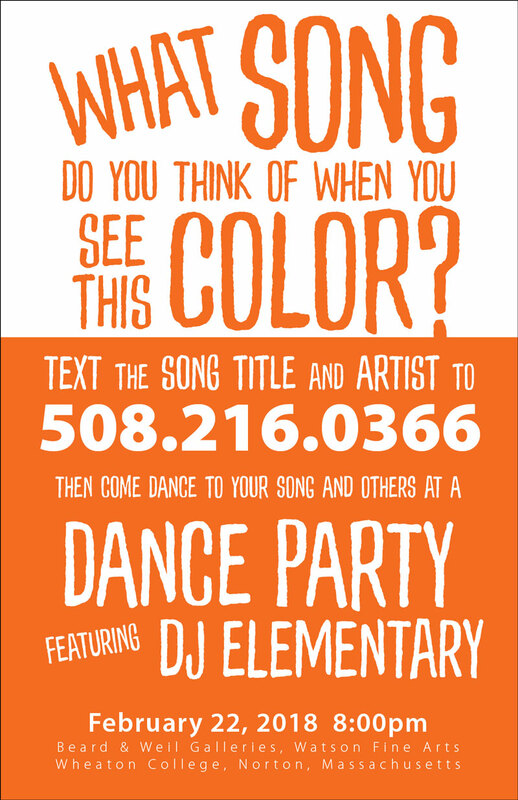 Text 508-216-0366 with the song you think when you see the color in the event poster, and don’t miss a gallery dance party on February 22, featuring a playlist of YOUR song choices!